Sunfish sightings in the Encounter Bay/Waitpinga Cliffs area (Updated) | Marine Life Society of South Australia Inc.
Our Waitpinga correspondent, Elizabeth Steele-Collins recently reported the sighting of three sunfish (Mola) in the “Encounter Bay/Waitpinga Cliffs area” in one week. We heard that the three sightings involved “at least two different individuals (owing to size differences)”. 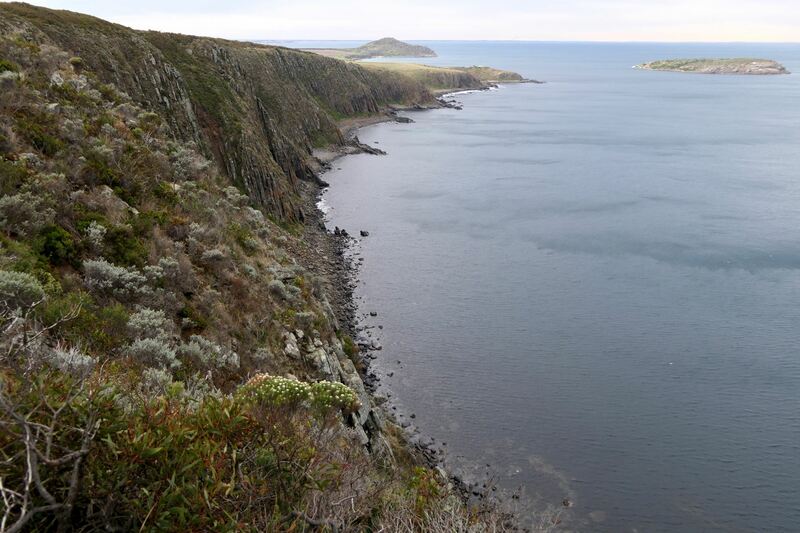 “I personally only sighted the 1 Sunfish from Waitpinga Cliffs (6th June 2018) but there have been 3 separate sightings in the Encounter Bay area recently. “First sighting was on 27th May by the Big Duck Boat Tours. The Sunfish I photographed in the afternoon yesterday 6th June may have been the same one as both were large size. A smaller Sunfish was also sighted off Wright Island yesterday afternoon (also by Big Duck Boat Tours). “I thought you’d be interested to know that I’ve now heard back from Ralph Foster (SA Museum Collection Manager, Ichthyology)… and he says the Sunfish sighted yesterday at the cliffs is possibly a new species only very recently described, known as the ‘Hoodwinker Sunfish’, Mola tecta. 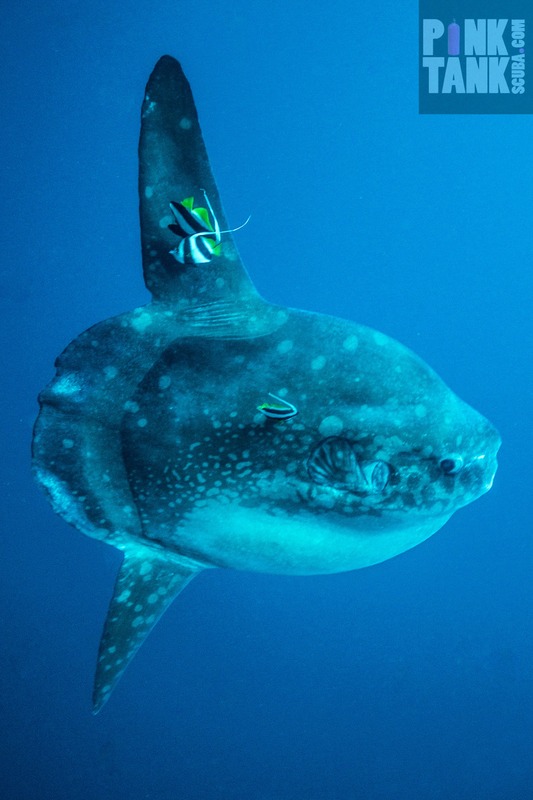 It may also be Bump-head Sunfish, Mola alexandrini (syn ramsayi) but he says the one it definitely is not is Mola mola. You’ll notice that sunfish expert Marianne Nyegaard, who recently described the Hoodwinker Sunfish, Mola tecta, agrees that this one is a ‘Pacific’ Mola mola (genetic analysis has shown that Mola mola as currently understood is actually 2 entities, so expect another new species to be formally named sometime…). Many of the above details, including photos, were posted on our Facebook page. More of PT Hirschfield’s sunfish photos can be seen featured in my article titled More Tropical Fish Cleaners. All of these photos were at taken at Nusa Lembongan and showing a sunfish apparently being cleaned by bannerfish (Heniochus). 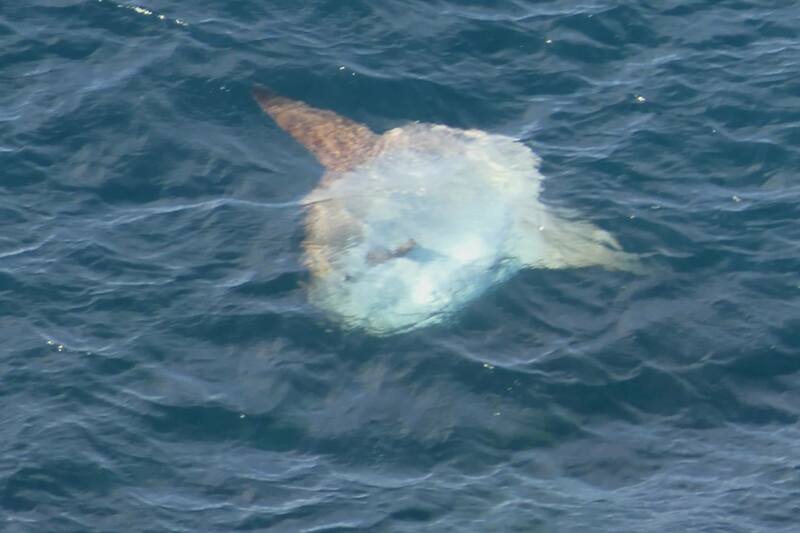 For further details regarding sunfish sightings in South Australia, read Dan Monceaux’s article titled Sunfish sightings in South Australia. Dan’s article features a YouTube video shot by Aaron Morgan of an ocean sunfish in shallow water close to Port Augusta. 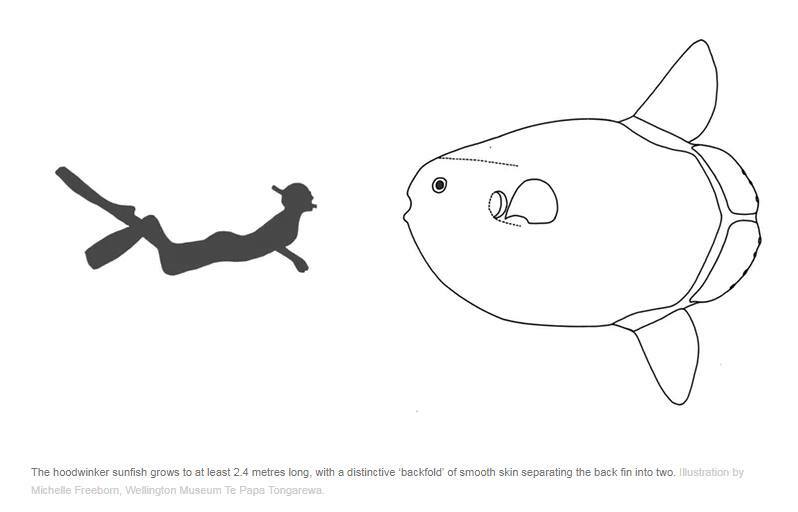 Many thanks go to Elizabeth Steele-Collins for reporting her sunfish sightings and also for her photographs and diagram. My thanks also go to PT Hirschfield of Pink Tank Scuba for provided us with her sunfish photo and Mick Sedlmayer for his additional comments. Good job with this, Steve. Sorry I wasn’t able to help pull this article together myself. Thanks Dan, no worries. I wrote a brief report first then added to it, then had trouble doing major changes, so I had to start from scratch again. Info is still coming through as we speak. You’ll notice that sunfish expert Marianne Nyegaard, who recently described the Hoodwinker Sunfish, Mola tecta, agrees that this one is a ‘Pacific’ Mola mola (genetic analysis has shown that Mola mola as currently understood is actuallly 2 entities, so expect another new species to be formally named sometime…). Thanks Ralph, we are still working on a follow-up article where the draft currently states, “By 20th June, we had discovered that it was now being suggested on iNaturalist that the sunfish being sighted by Elizabeth is actually an Ocean Sunfish Mola mola.” We cautiously left your name out of it, but you may wish to have your name cleared within the new article now. Otherwise, your comments have now been added to our first article, thus explaining everything. Feel free to write whatever you want to in the article – I’m always ready to admit to when I’ve made a mistake. In this case I definitely jumped the gun. I think this was a nice example of the evidence gradually accumulating to produce a good ID and it’s a credit to Elizabeth who persisted in order to get good images of the important taxonomic features. In many respects the ID as Mola mola is more interesting than if it had been the newly described Hoodwinker Sunfish, Mola tecta. From what little we know, it seems that Mola mola is the least common of three species of Mola that occur in our waters.